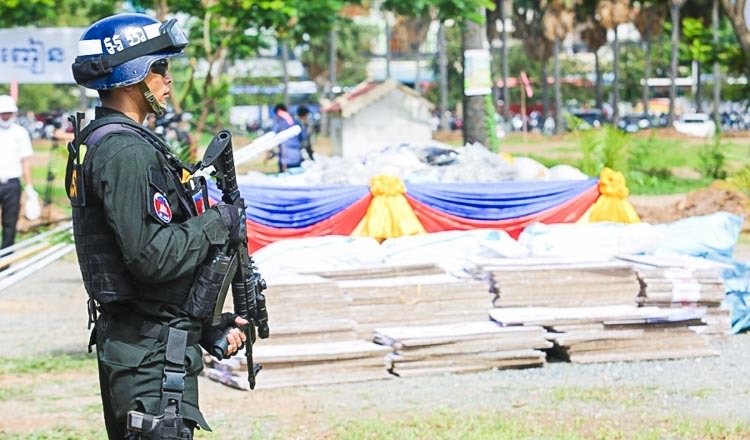 A military police officer and seven farmers were arrested on Sunday by Preah Vihear provincial military police over involvement in drug use and trafficking. 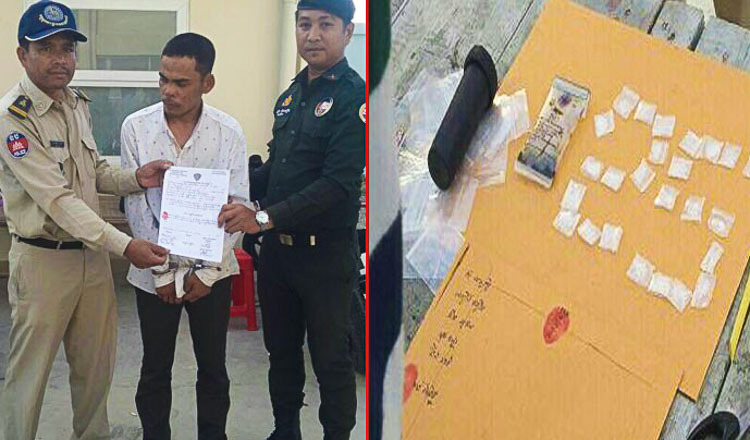 Bun Piseth, deputy commander of Choam Ksan district military police, identified two of the eight suspects as Khun Thea, 24, a military police officer based in Choam Ksan district and his wife Heng Sokunthear, 38, a farmer. 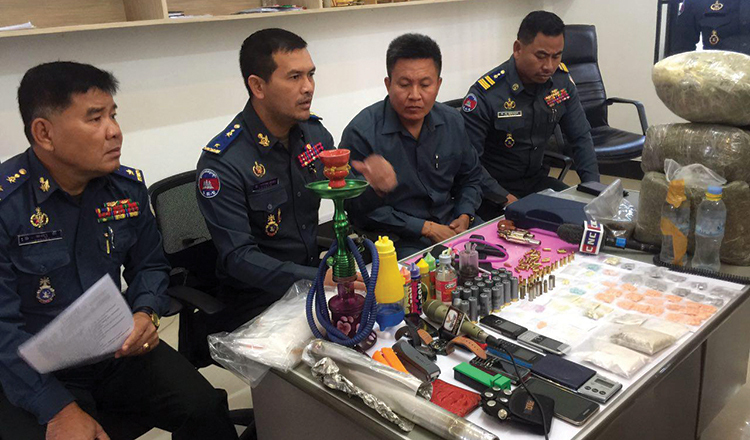 The remaining six suspects include farmers Un Thoeun, 57, Khan Vanda, 23, Sam Chantha, 23, Lem Sandy, 21, Khun Baraing, 17, and Khat Thida, 17. 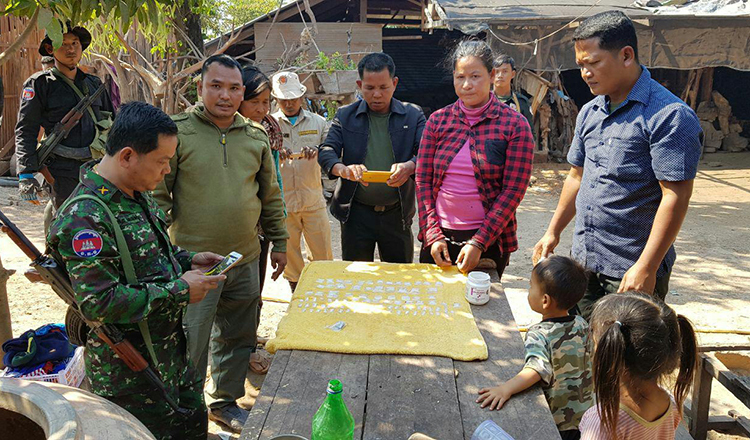 Mr Piseth yesterday said the group was arrested after military police raided their houses in Bongkol Prambei village, Sra Em commune. 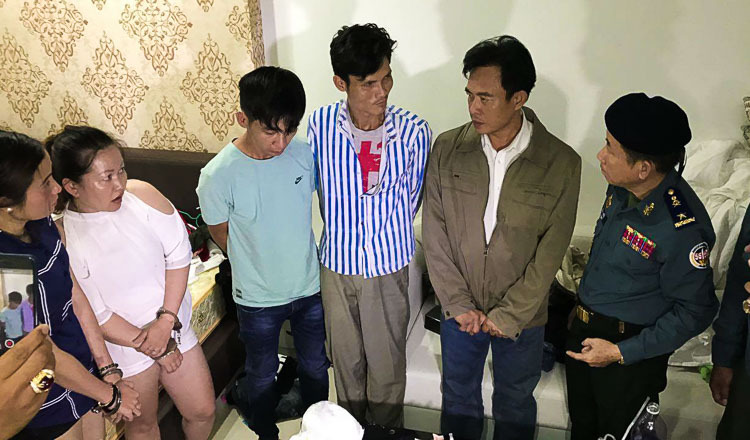 “They were arrested while they were smoking drugs inside their houses in village,” he said. Mr Piseth said military police seized a total of 37 big packages of crystal methamphetamine weighing more than half a kilo, one pistol, an AK-47 rifle, ammunition, two motorbikes, four phones, one scale and other drug paraphernalia. Mr Piseth added that Mr Thea, the military officer, was preliminarily accused of three charges, including “drug use and trafficking and illegal weapon possession”. The other seven suspects are accused of “drug use and trafficking”, Mr Piseth added. The group is due Preah Vihear Provincial Court today.